With all the talk of new HTML5 standards such as the srcset attribute and <picture> element, as well as server-side techniques such as Responsive Web Design + Server Side Components (RESS), you'd be forgiven for concluding that simple, static websites can’t support responsive images today. That conclusion might be premature, however. 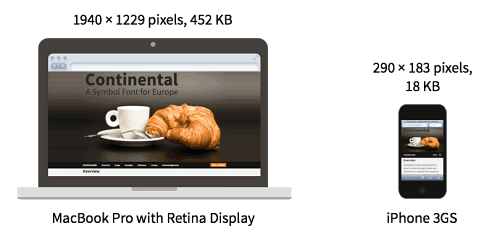 In fact, there’s an easy, straightforward way to deliver responsive images that’s supported by all of today’s Web browsers: CSS background images.